You are here: Home / Feedback & Reviews / Outstanding journey! The tour experience with ‘Little Bhutan’ was excellent!. My guide Nima & driver Yonten exceeded my expectation. They were so gracious, respectful and always so helpful. I felt like I was back at school with having Nima teach me so many new things. And to on top of that, he was a great photographer and took many pictures on my behalf. 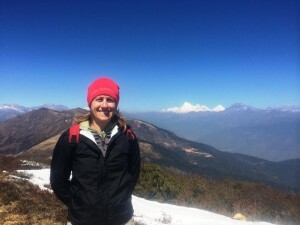 Nima adjusted the itinerary to my needs; doing more hiking and seeing & trying traditional things of Bhutan. I feel now I know more about Bhutan!. Yonten & Nima made my journey outstanding! I will be returning back for a trekking tour soon!.